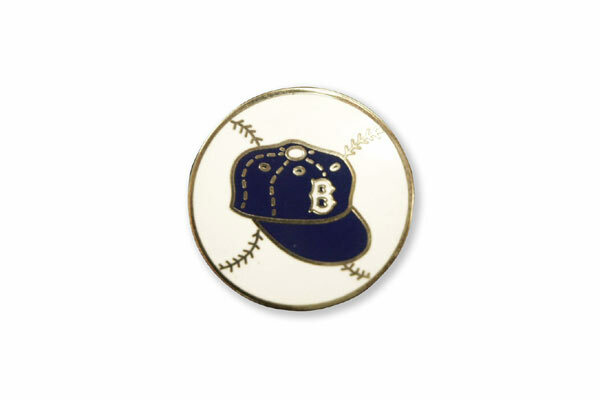 Perhaps the most memorable and satisfying season in Brooklyn Dodger history took place in 1955, as the skeletons of the previous 65 seasons were finally removed from the closet. Finally, this was next year and the wait was over. The Dodgers easily won the National League race by 13 1/2 games, as they started the season by winning 10 straight games and then went to 22-2. 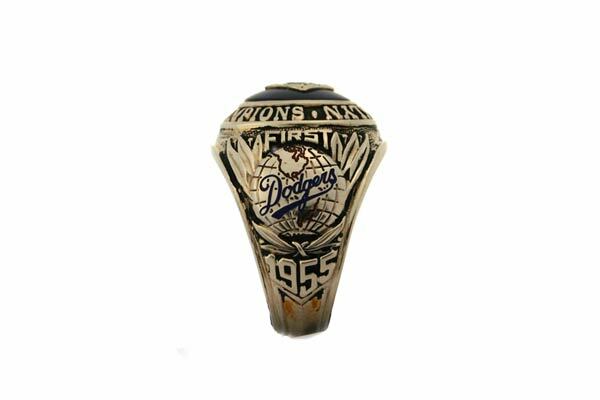 The Dodgers had the earliest National League Pennant-clinching in history on Sept. 8, 1955. They lost nine of their last 15 games following the clinch. Roy Campanella led the Dodgers with a .318 batting average with 32 home runs and 107 RBI to win his third National League Most Valuable Player Award. 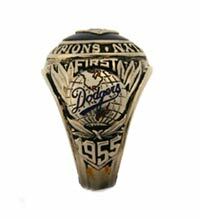 After losing to the Casey Stengel-managed New York Yankees in the first two games of the World Series, the Dodgers charged back to win four of the next five. They were the first team in history to win a seven-game World Series after losing the first two games. 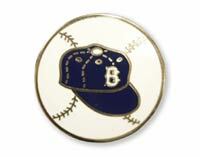 The Dodgers lost 6-5 in Game 1, despite Jackie Robinson’s controversial eighth-inning steal of home plate. Yankee pitcher Whitey Ford and catcher Yogi Berra thought they had nailed Robinson, but a film showing the play reinforces that his foot touches the right side of the plate before the tag. 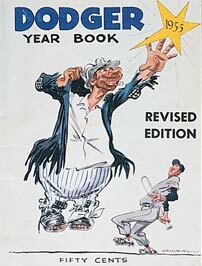 Left-hander Tommy Byrne pitched a 4-2 complete game against the Dodgers to put the Yankees up two games to none. Johnny Podres, pitching on his 23rd birthday on Sept. 30, defeated the Yankees at Ebbets Field in Game 3, 8-3. In Game 4, home runs by Duke Snider, Campanella and Gil Hodges powered the Dodgers to an 8-5 win to even the Series. The Dodgers surged ahead with a Game 5 win, 5-3, as Snider hit two home runs off Bob Grim, becoming the first player to hit four home runs in two different World Series. Snider stepped on a sprinkler head at Yankee Stadium and had to come out of Game 6 and the Dodgers lost, 5-1, to Ford. In the Game 7 finale, Johnny Podres was to face left-hander Byrne. Podres, who had said, “Just get me one run today. That’s all I’ll need. Just one” was true to his word. However, the Dodgers got him two runs, both off Gil Hodges’ bat. Alston decided to insert Sandy Amoros as the left fielder to shore up the defense in the sixth inning. In what was maybe his wisest move of the season, Alston watched the Yankees get runners on first and second with Berra at the plate. To Alston’s amazement, Berra sliced one down the left-field line and Amoros, who was a left-hand thrower, raced full speed over to the line and reached out his glove to barely flag the drive, assuredly preventing a double. Amoros got the ball back to Pee Wee Reese at shortstop who threw to Gil Hodges at first to complete a double play. It is still considered one of the greatest catches in World Series history because it shut down the mighty Yankees’ threat and they were not heard from again in the game. Podres jumped for joy when he blanked the Yankees 2-0 and the Dodgers became World Champions on Oct. 4, 1955 at Yankee Stadium before a crowd of 62,465. Later, though, Podres and his father hugged and shed tears in the clubhouse. For his 2-0 record, two complete games and 1.00 ERA, Podres was named World Series MVP. The battered and bruised Borough of Brooklyn, with its second-class complex, finally was able to rejoice in their first and what turned out to be their only World Championship. A riotous and euphoric celebration continued throughout the night in Brooklyn and phone lines were jammed after the win. Another smaller celebration took place in little Darrtown, OH, hometown of Manager Alston as an impromptu parade of cars and trucks drove down Main Street with horns blaring. After having lost in the previous seven World Series appearances — 1916, 1920, 1941, 1947, 1949, 1952, 1953 — the Dodgers were finally victorious. 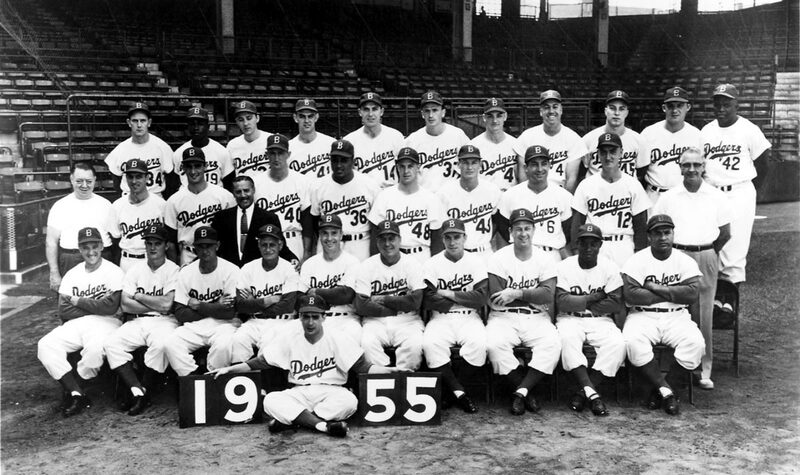 The Dodgers had changed personnel in left field and at third base from the 1954 campaign. Robinson played both positions, while Don Zimmer and Amoros, both promoted from Montreal, contributed heavily. 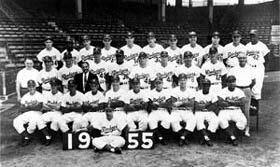 Zimmer played second, third and shortstop, while Amoros was in left field part-time and made “The Catch.” Don Newcombe jumped out to an 18-2 record on July 31, but finished the season with a 20-5 record, after winning two of his last seven starts. Clem Labine was 13-5, pitching 52 of 60 games in relief. Sandy Koufax, a bonus baby signing by Dodger scout Al Campanis, was 2-2 in his debut season for Brooklyn, including two shutouts. Walter O’Malley was named Major League Executive of the Year by The Sporting News. 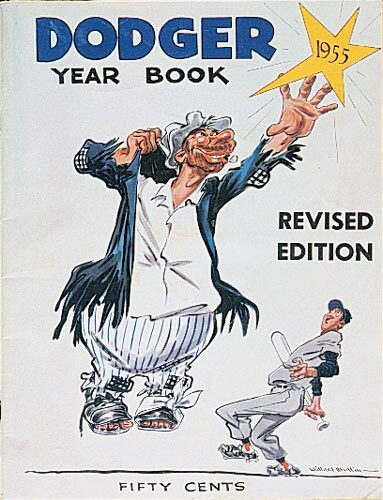 Click image for a larger view1955 Dodger YearbookCopyright © Los Angeles Dodgers, Inc.
Click image for a larger view1955 DodgersCopyright © Los Angeles Dodgers, Inc.
Director of Publicity and Public Relations Frank Graham, Jr.